GOOD MORNING FRIENDS! I know it’s been a little quiet here on the blog, but that’s because I’ve been busy putting together classes for the coming months. Class details are already available for my classes at Photo Scraps on January 17 & 19. And now I have the dates for upcoming classes at the Queen’s Ink, so mark your calendars for January 29, February 26, and March 26! 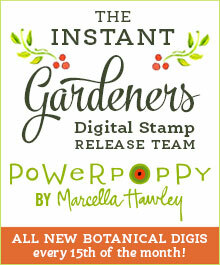 Details coming soon for those classes, but I can tell you that the January and February classes will be featuring the Potted Primrose and Blooming Wonderful stamp sets from Power Poppy! More details on Wednesday! Stay tuned!